Clear color. Savory aromas of pickles, tempeh, fish sauce, marinated carrots, and honey-mustard with a satiny, vibrant, sweet-and-sour light-to-medium body and a warming, compelling, medium-length spiced tea with cream, soy glazed peanuts, dark roasted coffee, and fermented honey finish. A balanced Baiju with a full spectrum of sweet, salty, and umami flavors. 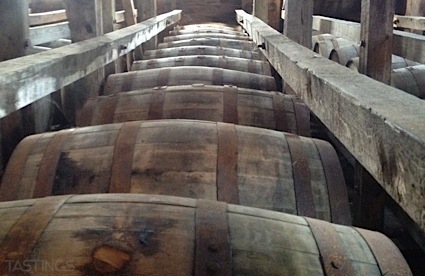 Bottom Line: A balanced Baiju with a full spectrum of sweet, salty, and umami flavors. 93 • Camus Borderies XO Cognac 40% (France) $159.99. 91 • Camus Borderies VSOP Cognac 40% (France) $54.99. 94 • Camus Extra Dark and Intense Cognac 40% (France) $499.99. 90 • Camus Borderies VSOP Single Estate Cognac 40% (France) $52.99. 93 • Camus Borderies XO Family Reserve Cognac 40% (France) $169.99. 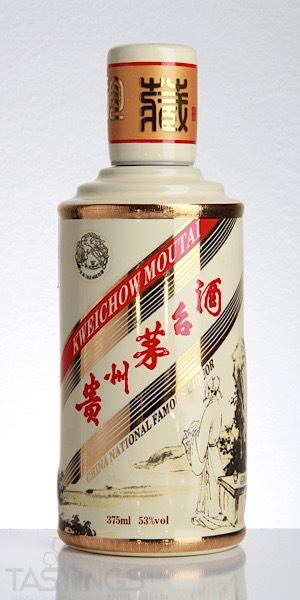 88 • Kweichow Moutai Legendary China Collection Baijiu 53% (China) $420.00. Kweichow Moutai Legendary China Collection Baijiu rating was calculated by tastings.com to be 88 points out of 100 on 1/23/2019. Please note that MSRP may have changed since the date of our review.